Clearly travel is on many Social Gal and Gent agendas this summer and, of course, we’re all looking to optimize the travel experience. Enter a hugely popular and trending accessory, sure to enhance arrivals at any destination, whatever the mode of transport: planes, trains, or yes, automobiles. Okay, okay, escape junkies, we’ll out the most recent obsession, admittedly inspired by an overall preoccupation, of late, with catching more zzzs. 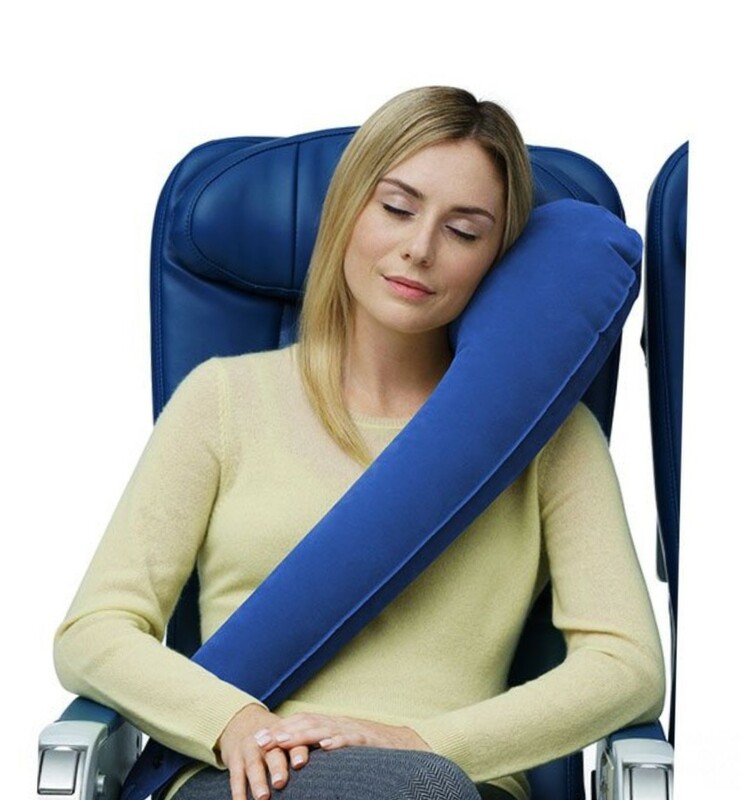 Today’s sleep facilitating innovation comes in pillow format (a trend in Diary world, ahem) and is officially called the Travelrest All-One Premium Pillow. Crafted from state-of-the-art memory foam in a brilliant cross body ergonomic configuration (designed expressly to support the body’s pressure points in the most effective way possible), the easy to wash – and deliciously snuggly – travel mate is quick to grab for the next trip, and receiving rave reviews (including ours!). To try yours, or secure more good deets, link up here. WHAT’S TRENDING IN POOL FLOATS?